Stuffing: Making gluten-free stuffing doesn’t have to be difficult at all, as you can simply use gluten free breadcrumbs as a substitute in your favorite recipe. You can even make your own breadcrumbs if you already have gluten-free bread in your home. The fresh herbs and gluten-free spices can be picked up from your local organic food shop. Mashed potatoes: Traditional homemade mashed potatoes don’t contain gluten, so this is another item that is naturally safe for everyone around the dinner table. All you will need are a few fresh potatoes, butter and milk. If you are in a time crunch and won’t be able to make the potatoes yourself, there are several brands of gluten-free instant potatoes that are available as well. Gravy: When it comes to making the gravy, you can simply substitute cornstarch for the wheat flour to thicken the drippings from the turkey. There is also a variety of gluten-free gravy mixes available at organic food stores that can be used as an alternative. Rolls: Making your own gluten-free bread might not be the easiest task, but fortunately this is an item that is very easy to find in stores. If you want to include an additional bread option, you can also try your hand with an easy-to-make gluten-free cornbread recipe. Pumpkin pie: For your grand finale, you can include a gluten-free pie that will surely wow all of your guests. Most pumpkin pie filling recipes are naturally gluten-free, so your main focus will be on making sure that the crust is okay. You can make your own gluten-free pie crust, or buy one pre-made from your local store. As with all of the other portions of your meal, just make sure that all of the spices you use are gluten-free, and you will have made the perfect pie to complete your perfect meal. 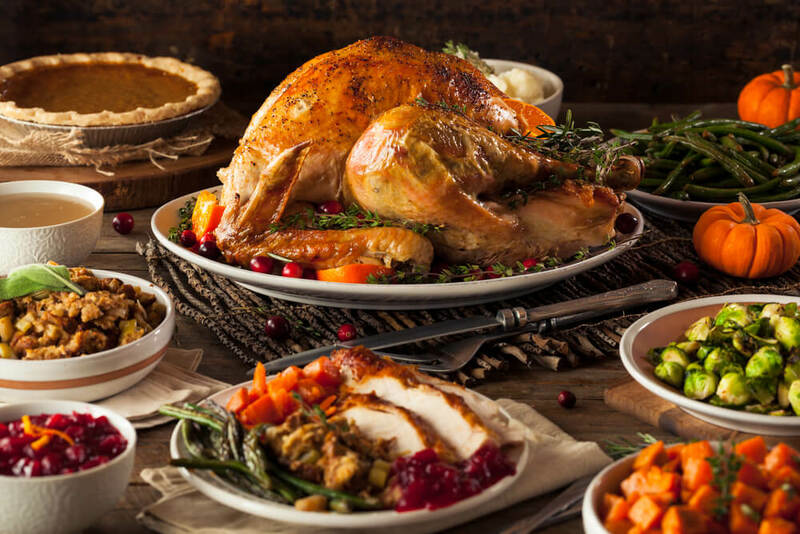 Thanksgiving is right around the corner, and it is never too early to start preparing your turkey day shopping list for your next visit to the organic grocery store in Eau Claire, WI. To make a meal that everyone at the dinner table can safely enjoy that also tastes great, pay us a visit at Mother Nature’s Food. For the best selection of gluten-free, natural and organic food products, make sure you come and see us today!